This high resolution colour camera, with its 220x Zoom-objective and integrated pan/tilt head, provides pictures of perfect brilliance and sharpness. Even a car number plate can be recognised from a distance of up to 500m and larger objects like persons or cars and boats can be observed even from more than that range. Up to 32 fixed positions of the zoom and the pan/tilt head can be programmed and recalled automatically. 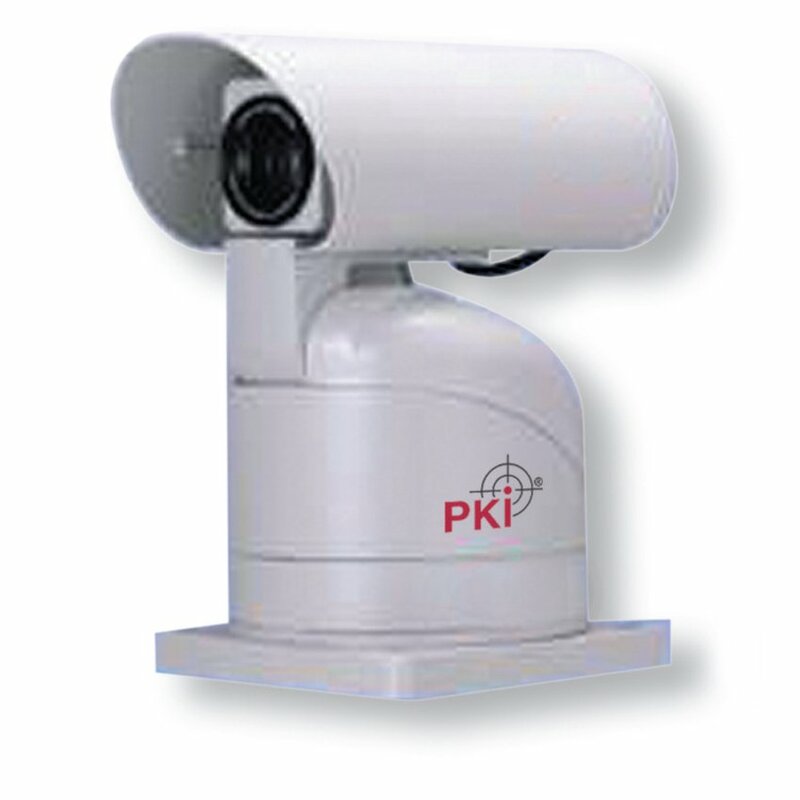 PKI 5280 is supplied with a wired remote control for every function of the device. On request, it can be equipped with a wireless remote control. The complete set comes with a cable connected 19” flatscreen monitor combined with an optional high power video transmitter the PKI 5280 is ideal for border controls and other wide range observations in outdoor conditions. Such transmitters should be selected from our wide range shown in this catalogue. Only then we can guarantee that camera, transmitter, receiver and monitor match perfectly.